The Venables will help you tackle rocks, cracks and any other unfortunate obstacles that might halt a smaller size wheel. Powerslides will remain smooth as ever and flatspots will be a thing of the past. Cruising on Easy Hawgs is like slow rolling on 4 pastel coloured clouds. Care free! 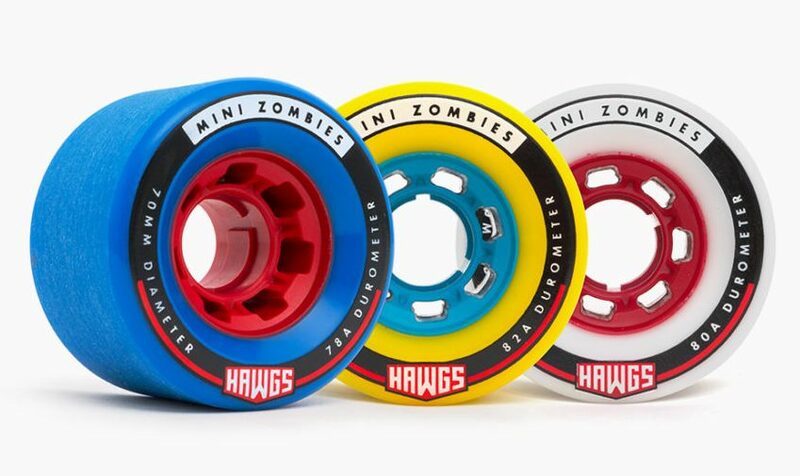 Available in 3 durometers to suit any riding style or terrain; the Mini Zombie features a stone-ground finish and an offset core, resulting in a smooth slide and predictable hook-up. 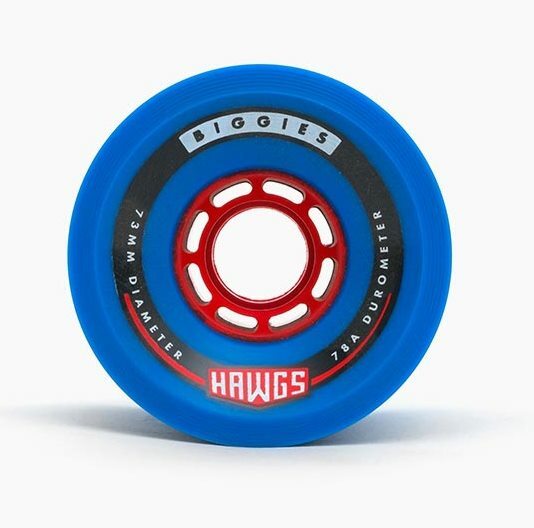 The Bigger Biggie Hawgs provide a meaty width and are compatible with most top-mount and low-clearance setups. With our high-rebound formula, in 76a grey, and 78a blue, these will grip in the most demanding situations but will break out smooth for predrifts and check slides. 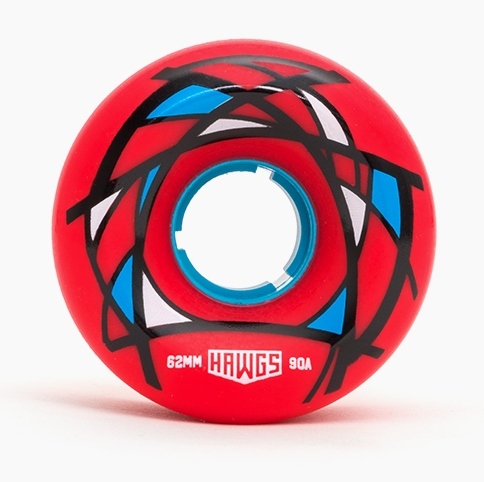 At 76mm tall, these Hawgs have the momentum to roll fast and keep on truckin’. Their height also means there is more urethane to keep the ride smooth on rougher roads. Monsters will steamroll down any hill and keep your speed while cruising the flats.